San Francisco Symphony knows how to party! Donors to the educational arm of the San Francisco Symphony were rewarded last Wednesday, September 6 with an extravagant party at Davies Symphony Hall. Celebrated violinist Itzhak Perlman performed Bach and well-known movie themes, and the Symphony sizzled with Liszt and Gershwin. After, dance stages and bars took over the street between Davies and the Opera House. It was a night to savor! “The program isn’t that memorable,” lamented a well-known music reviewer as he nibbled on delicacies in the Press Room before the concert. “Music?” I replied. “I thought we were here for the free booze… and the fashion show!” He nodded, and we eyed sequins and feathers, gold lamé and daring necklines. The City had turned out to see and be seen, with a kaleidoscope of colorful dresses amid the black and white ground of tuxes and the occasional formal kilt. 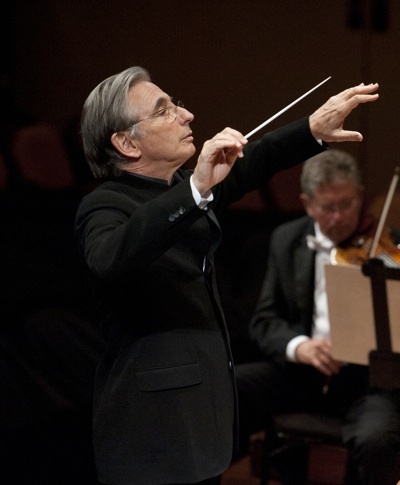 Michael Tilson Thomas took the podium to enthusiastic applause, and turned to the audience. “We are going to begin this gala the way we usually do, so remember to take a deep breath,” he said, a little cryptically. We understood him a moment later when the Symphony launched into the Star Spangled Banner and the audience stood, and MTT conducted the two thousand seven hundred and seventy-five of us with his back to the orchestra. His crisp gestures and certainty showed us the musicianship that has propelled this orchestra into such a fine world-class group, and we were able to catch a glimpse of what it would be like to perform under that baton. MTT is retiring at the end of the next season, in 2020, but leaves a lasting legacy. He turned back to the orchestra and they swept into Liszt’s Mephisto Waltz No. 1, a work of palpable tension that leans on the myth of Faust and the Devil. This work describes how Mephistopheles picks up a violin at a country dance to turn the revelry into debauchery. The Symphony presented it with a concise clarity that was hair-raising, but then melted that tension with a cello solo by Peter Wyrick and violin solo by Alexander Barantschik. It ended on glittering harp runs followed by the distant thunder of soft kettle drums, and one had to wonder if Liszt was describing the nature of evil here: harp notes like the liquid glitter of gold, and the soft rumble of kettle drums like a warning of approaching storm. Violinist Itzhak Perlman took the stage with some difficulty, as his legs, weakened by childhood polio, seemed to be giving him more trouble. But his humor was intact and his bowing was deft, and the audience stood to applaud him warmly and repeatedly. He performed Bach’s Concerto No. 3 in D minor for Two Violins, rearranged for two violins and orchestra, and performed by Perlman and a rotating cast of six brilliant young violinists from the Perlman Music Program. In the second half he led the orchestra in well-known violin themes from the movies, with passages from Cinema Paradiso, Out of Africa, Schindler’s List and a sizzling Tango. That tango was poised to the point of dangerous! It was a crowd-pleaser, pure and simple, and perfect for a Gala. MTT kept the momentum light and accessible with Gershwin’s Cuban Overture and his An American in Paris. The first folded jazz scales into classical arrangements and then rocked that with Cuban rumba rhythms, while the second was pushy and dreamy at once, a New York jazz experience that swans its way into French lyricism. And in between and after! Long tables of glasses were filled with champagne at intermission, and afterwards, bars and snack counters were set up in the street and behind the Symphony Hall. Patrons worked their way through the offerings and onto the dance floors, one with a DJ and the other with a live band, to burn away the tidbits and the hours. For readers fresh to the idea of a Gala, what may be difficult to fathom is that it is a tax write-off as well. That is, instead of all of your taxes going to the IRS to buy toys for the military, some of that money can buy violins in the schools. Just saying. The Symphony adds intrigue to its glitz for the rest of September, and then takes it on the road in October to Carnegie Hall and beyond. On Sept 13 – 16 Yuja Wang performs Ravel’s Piano Concerto for the Left Hand, and MTT conducts Copland’s Appalachian Spring and Castiglioni’s Inverno in-ver. And then Sept 21 through 30 is a Stravinsky Festival, with two different programs, each not-to-be-missed. Sept 21 – 23 tenor Nicholas Phan joins the SFS Chorus, SF Girls Chorus and Pacific Boychoir for Stravinsky’s The Firebird and Persephoné. And then Sept 27 – 30 MTT conducts Petrushka and the glorious Rite of Spring, and violinist Leonidas Kavakos undertakes Stravinsky’s Violin Concerto. Wow. Details and tickets at sfsymphony.org. 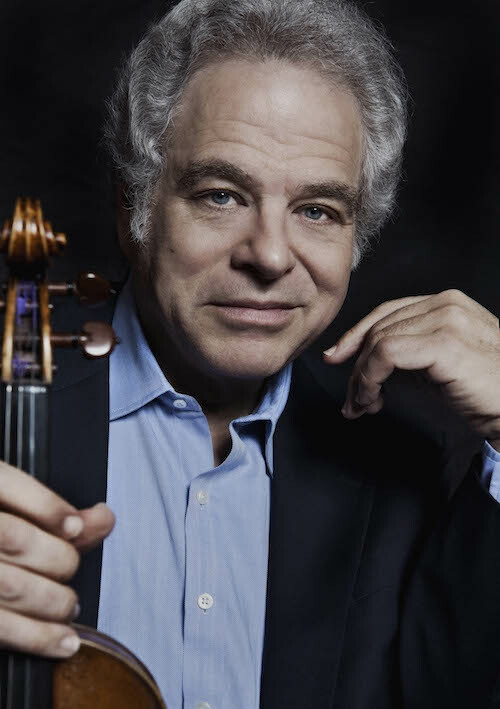 Photo, top of MTT, by Stefan Cohen; below, violinist Itzhak Perlman, photo by Lisa-Marie Mazzucco. Next Next post: Long live Donizetti’s fiery Queen!